Greetings Friends! 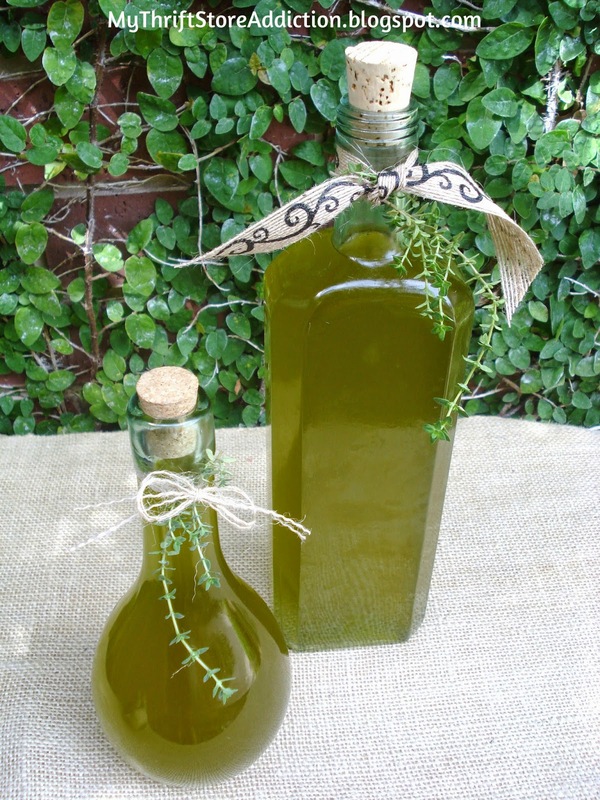 Herbal oils are a great way to use of the last of your summer herbs and make great gifts for the holidays! I have been preparing them for several years now and thought I would share my favorite recipe. You will need a large container of the oil you prefer. I used extra virgin olive oil, the 51.5 ounce size. You will also need several decorative decanters for storing and of course plenty of fresh herbs which need to be washed and air dried prior to preparation. 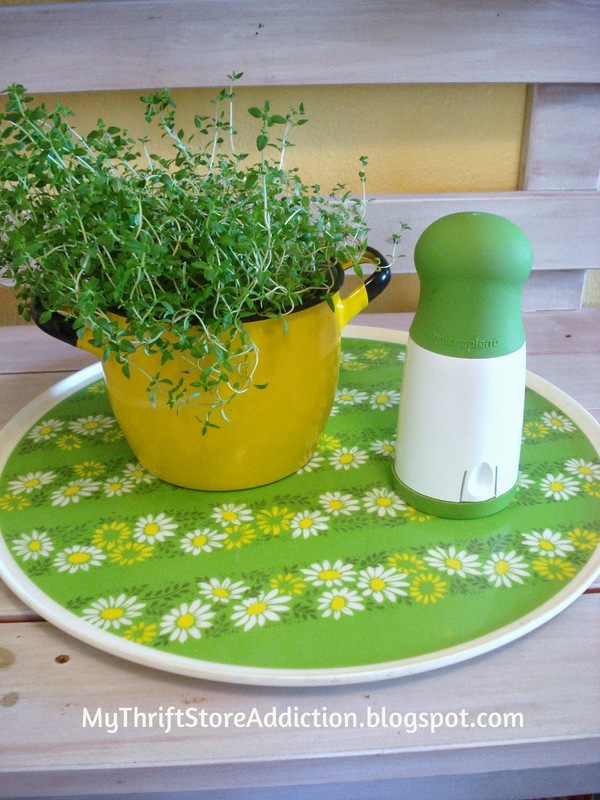 Use about 3 cups of fresh thyme or preferred herb of your choice. TGITF--Two treasures today from two different thrift stores and both bargains! I have never seen a Lazy Susan like this before but I love the bright, kitschy pattern. 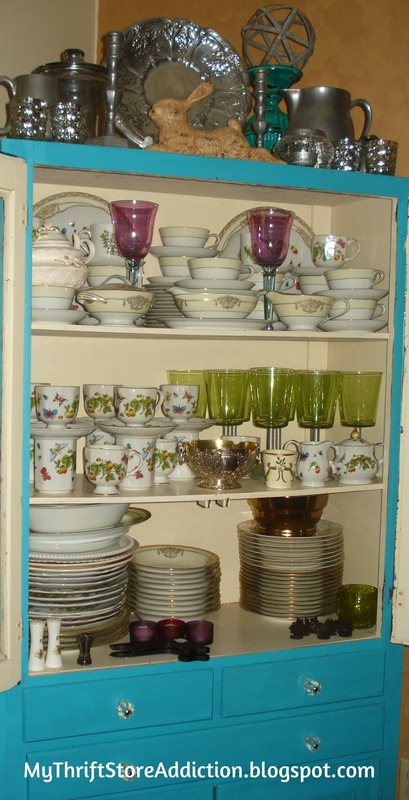 As you may know, I am partial to unique vintage ware and it is right at home in my kitchen! Set Your Table for a Happy Fall, Y'all! Ready to primp my table! 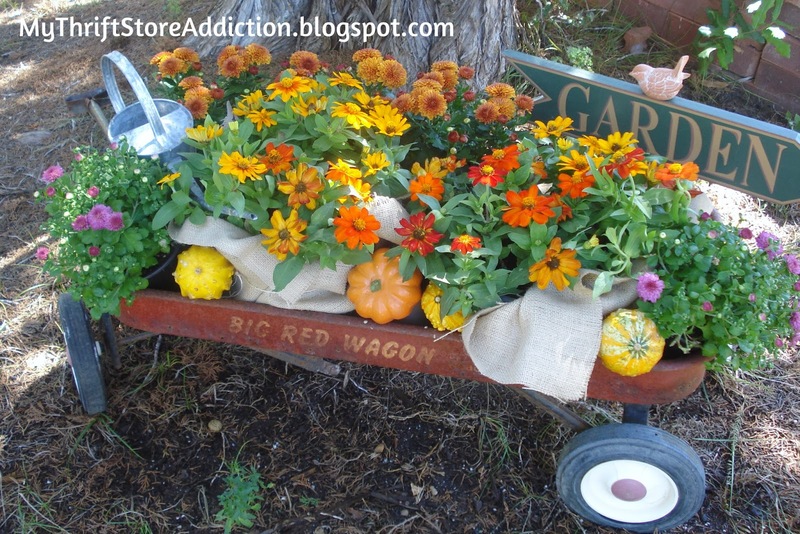 DIY: Rustic Chargers and Glamorous Gourds! Greetings Friends! I cannot believe we are officially half way through September! 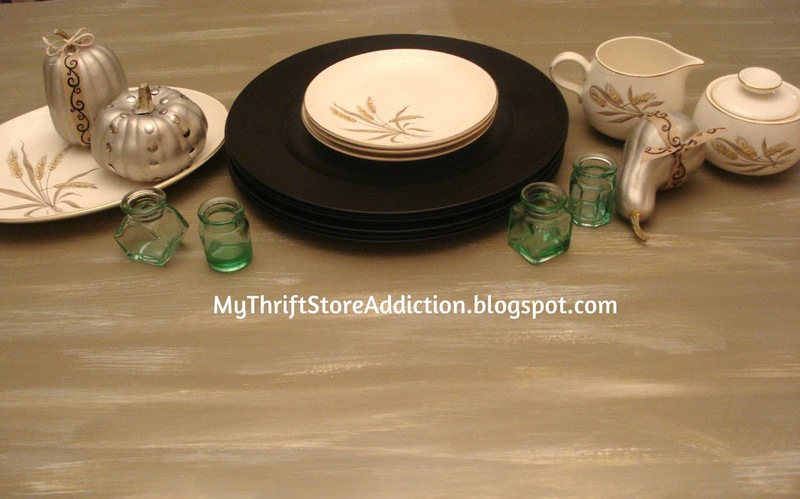 I will be setting my table for Fall soon and plan to include a few DIY projects I have been wanting to try. 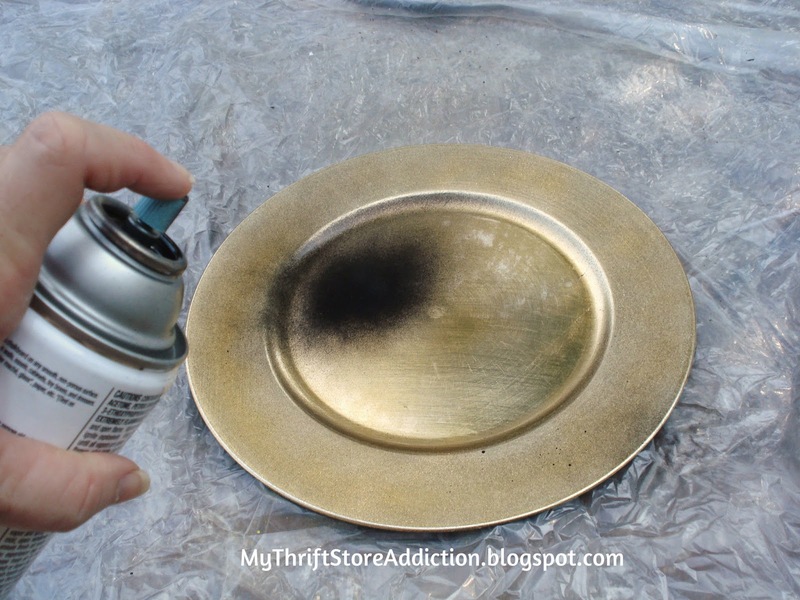 You know I love me some chalkboard paint, so when I saw rustic chalkboard charger plates at a local shop that were as pricey as they were cute, I knew I would have to try my own version! I started collecting mismatched chargers from thrift stores, paying .25 to .75 a plate. 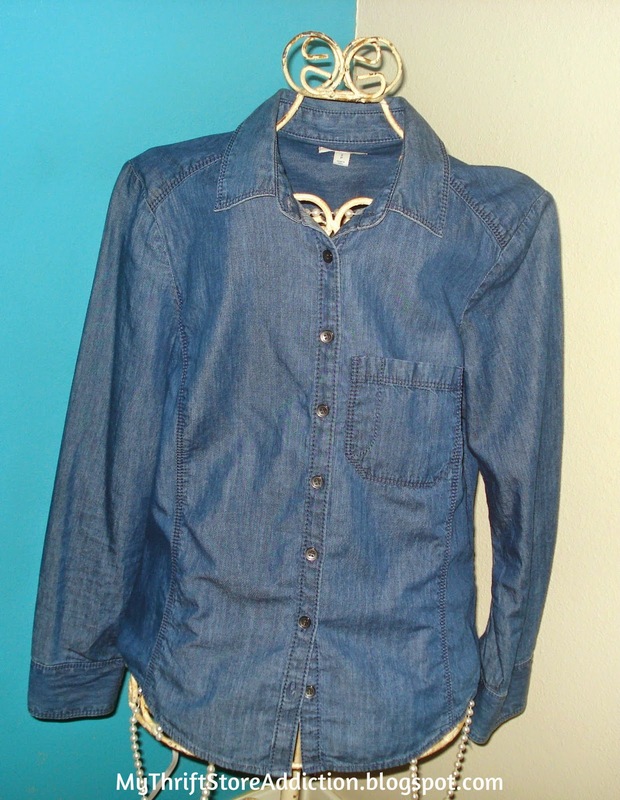 Friday's Find: Denim Button Down! Thank God it's thrifty Friday, Friends! I have always had a penchant for denim, especially this time of year when we anticipate, or here in the South, at least hope for cooler weather. A versatile denim button down has been on my list all summer. Since I am short, and not long waisted, I needed something semi-fitted. I even tried on a few at the mall but didn't like any enough to pay close to $30. I just wasn't able to find the one I pictured in my mind...until today! Greetings Friends! 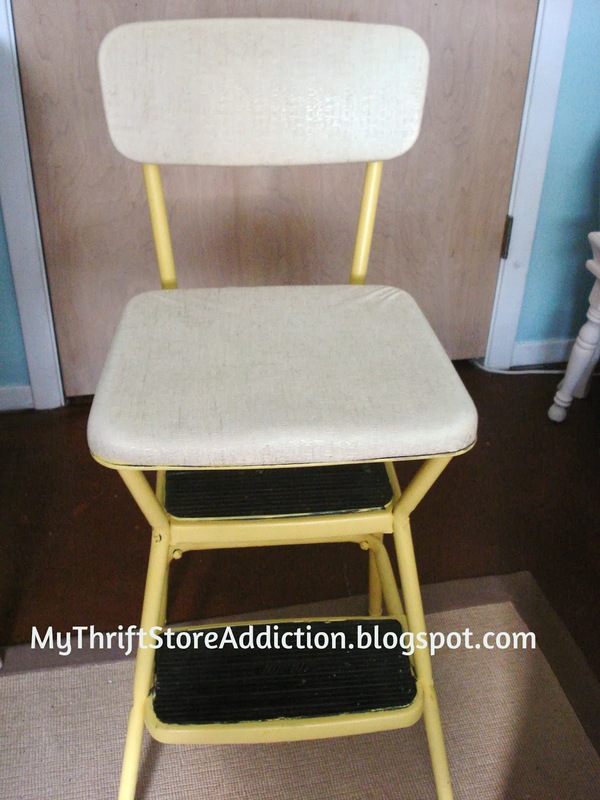 When I found this Vintage Cosco stool at a thrift store parking lot sale for $3, I was thrilled! It definitely needed recovering but since I have recovered more than a few seat covers, I thought I would be up for the task. Hello Friends! I would consider myself overall a pretty healthy eater. The overall part meaning dark chocolate, carbs and a morning iced mocha (or two) are my necessities! However, I do eat a lot of salads and vegetables and awhile back decided to try the roasted kale chips everyone was raving about. Not a fan! While I didn't dislike the taste, they had a really strong after taste. Roasting them made my whole house stink and no, Gwyneth Paltrow, they did not taste "just like potato chips!" 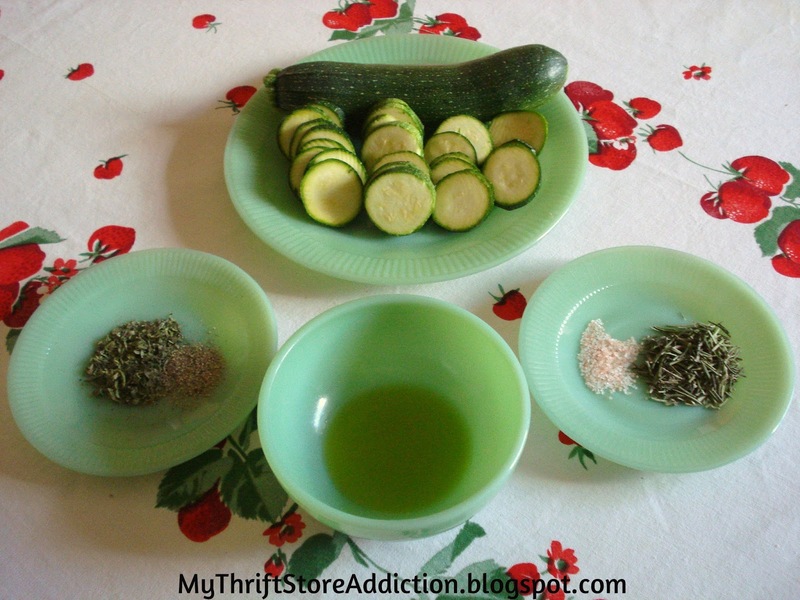 When I found this recipe for roasted zucchini chips, I thought these might be more my speed. After scanning the recipe, I decided to make a few changes. First, five zucchini sounded like a lot to me, especially since I prefer to eat them as soon as they won't burn my tongue, as opposed to storing them, so I used two. Besides the Rosemary and Basil suggested, I also added one of my favorites, Thyme and I used my Himalayan pink sea salt. I used two tablespoons of olive oil, about a tablespoon of Rosemary, a tablespoon of Basil and Thyme combined, and a teaspoon each of salt and pepper. I cut the zucchini thin, but not so thin it would burn easily. by than the 1.5 quart size I usually see. 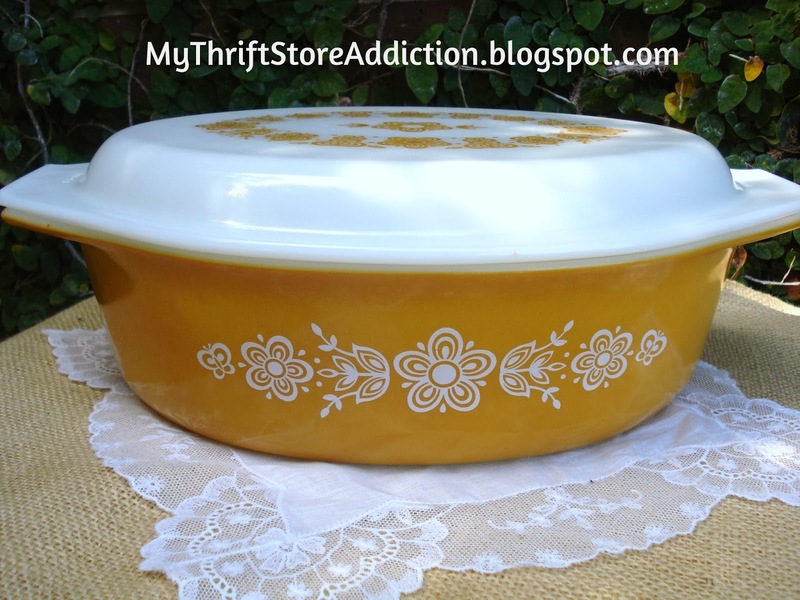 Often these pretty casseroles may have damaged or even missing lids. As it happens, I don't have any of these larger Pyrex, so when I saw this one in mint condition and also a bargain, of course I grabbed it! Greetings Friends! With my weekly thrifting jaunts, I have to be very careful that my bargains don't turn into clutter. It has been an ongoing challenge to organize my studio--the room where my Etsy shop and DIY supplies reside. 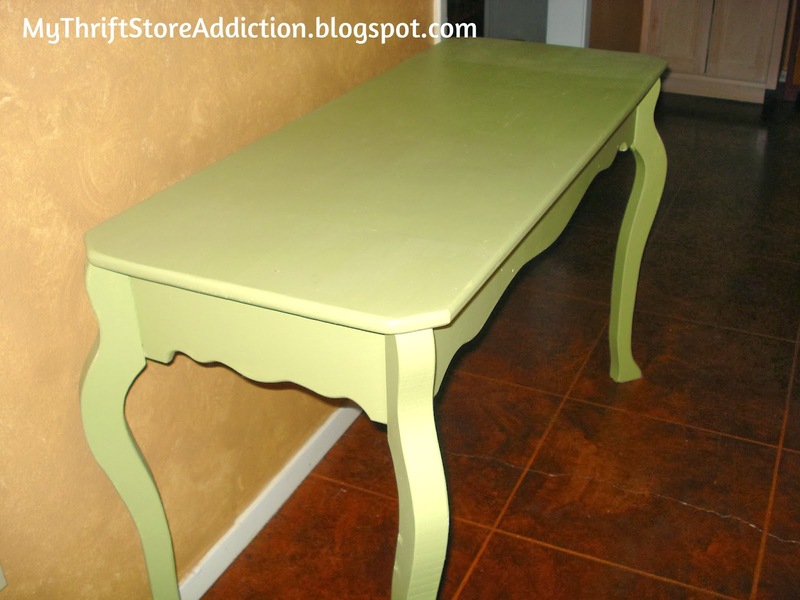 When I recently upcycled an old dresser and gave it a place of honor showcasing my cherished family photos, I knew just the spot for the table it replaced. Hello Friends! If herbs are the garden's thriftiest plants, then Morning Glory would have to be the thriftiest flower. These showy flowers bloom profusely through the Fall and are one of my favorites. Did you know they actually prefer poor soil?! I read that when the soil is too fertile, only the heart shaped leaves will grow. Planting by seed is certainly the most economical way to go. The only preparation required is for the hard seeds to be soaked in water over night before planting. 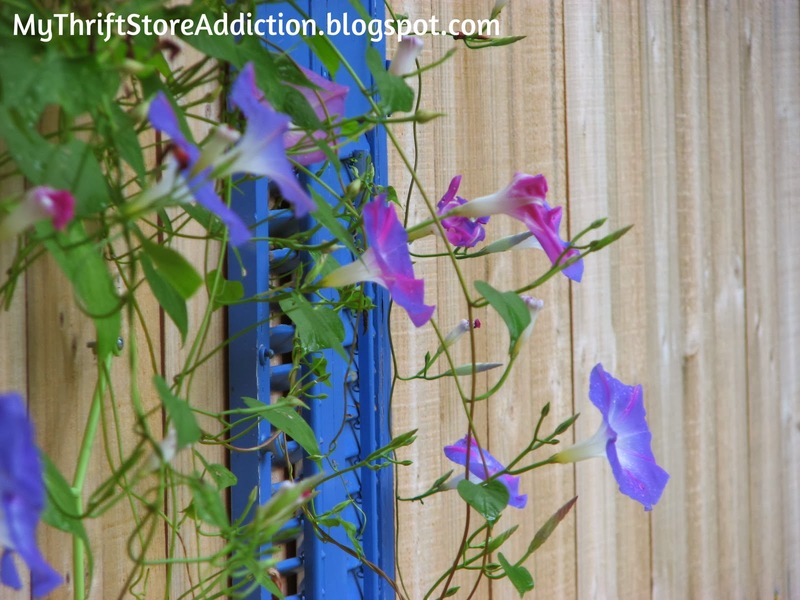 Also, plant them near a trellis or fence they can climb on but not too close to other plants the vines may strangle.